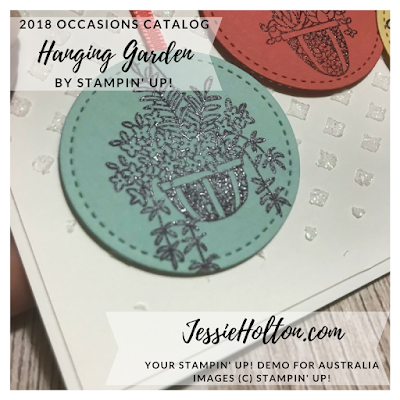 Today I'm playing along with the Aussies Who Love Stampin' Up! Flower Power Challenge (click the link for the Facebook Group). I have used the gorgeous Hanging Garden stamp set & I have used the 'Hanging Garden' as inspiration for my layout. 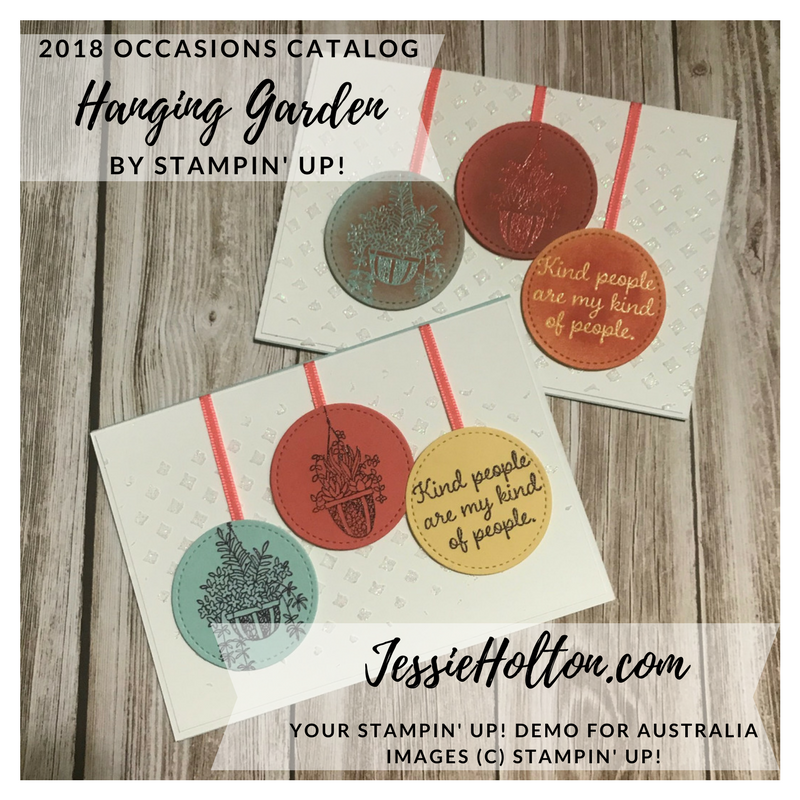 It ended up looking a bit like baubles, so it would be a great layout for Christmas Cards too, but I could also see it working as a hanging mobile baby theme card, too. Adding those to my ever growing list of cards to make... haha! I'm also showing you some Versamark techniques. 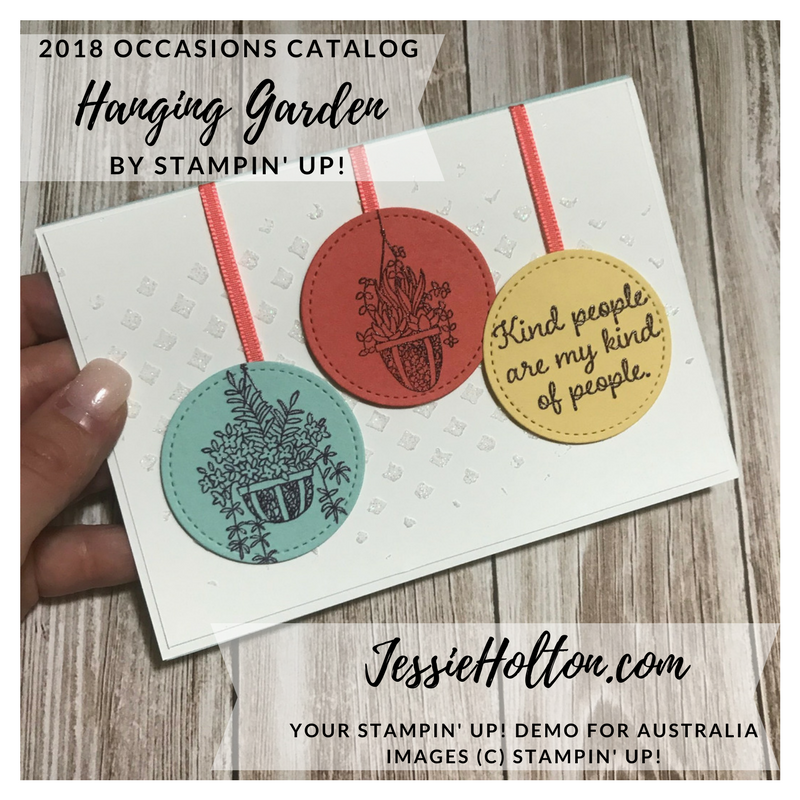 I have a class coming up on 20th April at my home in Clifton Springs (Bellarine Peninsula, Vic) & if you're local, I would love for you to attend. It's $55 per person & you get a Versamark ink pad plus the Beautiful Day clear mount stamp set to take home. We'll be making four cards each using these techniques. I have made four cards the same, each using a different Versamark Technique. I will be showing the other two cards tomorrow. 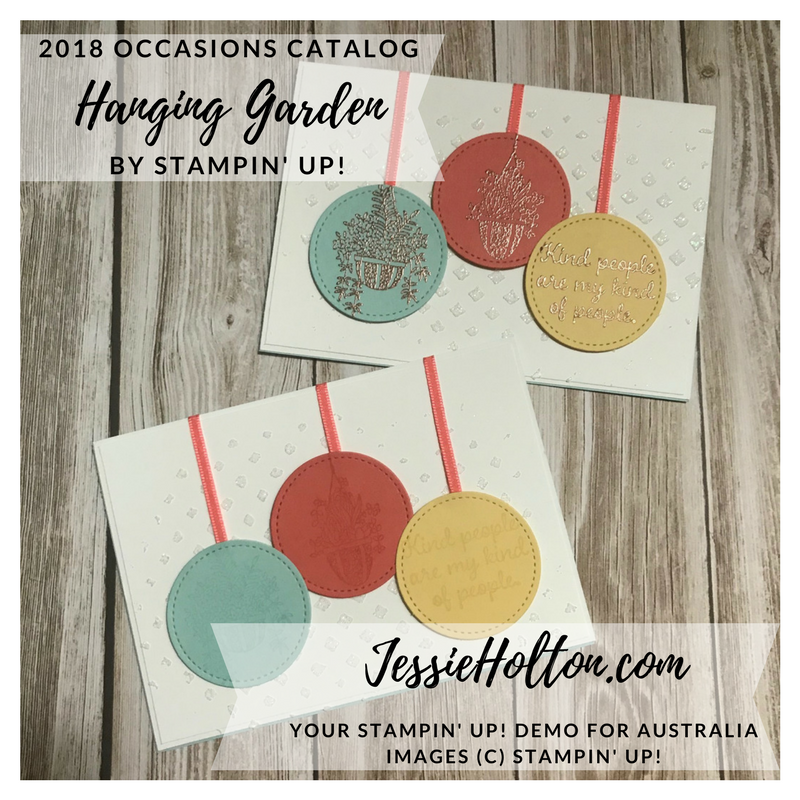 I have used Shimmery White embossing paste with the diamond Pattern Party Decorative Mask on Whisper White cardstock with Pool Party base, Calypso Coral Ribbon & the circles are Pool Party, Calypso Coral & So Saffron. I have used the Stitched Shapes framelits to cut them out on my Big Shot. This first card uses my favourite technique, Copper heat embossing. You can also get silver, gold, white & clear heat embossing powder from my online shop. For this technique, you stamp with Versamark & then dust over the image with the heat emboss powder & set (melt) with the heat tool. Heat embossing leaves a shiny, raised image. For a clear image, always make sure to rub the Embossing Buddy over your cardstock first. It's full of antistatic powder, so the heat emboss powder only sticks to the Versamark & leaves the rest of the cardstock clean. Using the Versamark on it's own gives a subtle tone on tone effect. This is a really good technique for background stamping or even shadowing where you stamp again in a different colour, offsetting slightly. You can heat emboss first with any of the powders & then colour over the top of it & the image will still show through. In the sample below, I have clear heat embossed to save the colour of the cardstock & then sponged colour over the top. I have sponged Pool Party ink onto the Calypso Coral circle & then sponged Calypso Coral ink onto the other two circles. I have used a Sponge Dauber but you could also use the actual Sponges, depending on the size of the image. 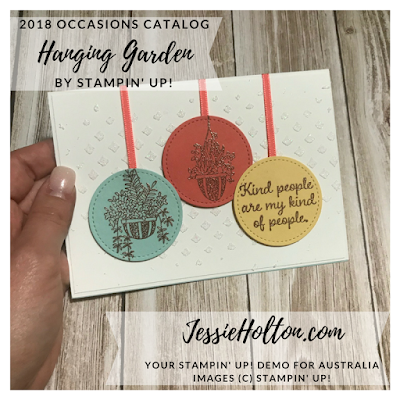 In my class on the 20th, we will be using Watercolor cardstock & Brusho Color Crystals to watercolor in the images of the Beautiful Day stamp set. 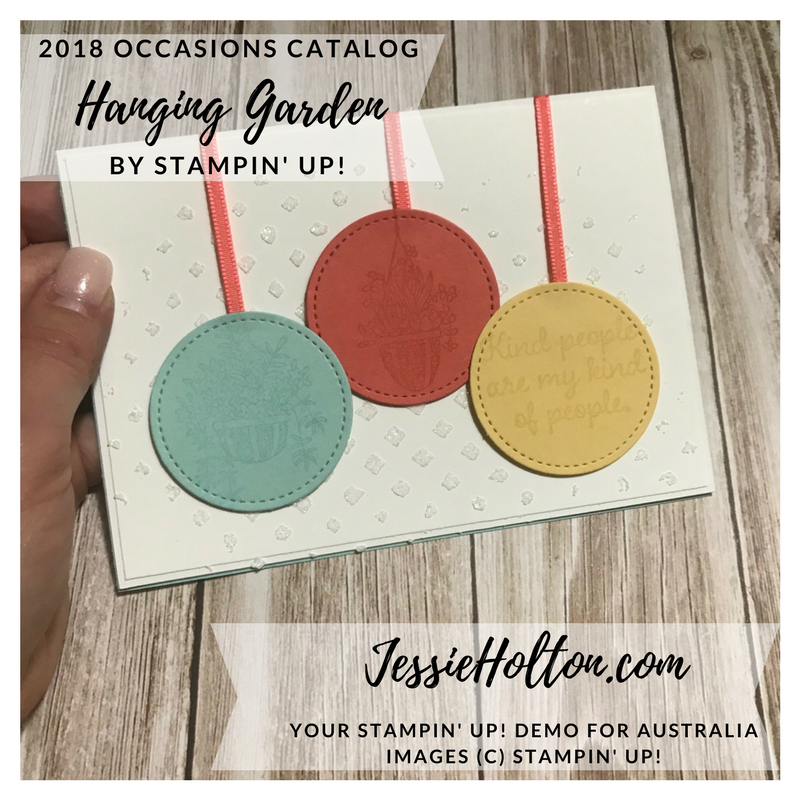 You can also use the Aqua Painters, Blender Pens, Stampin' Blends, Stampin' Write Markers or Watercolor Pencils to each achieve a similar look, but they all have their own unique depth of colour, so they will all look a little different. 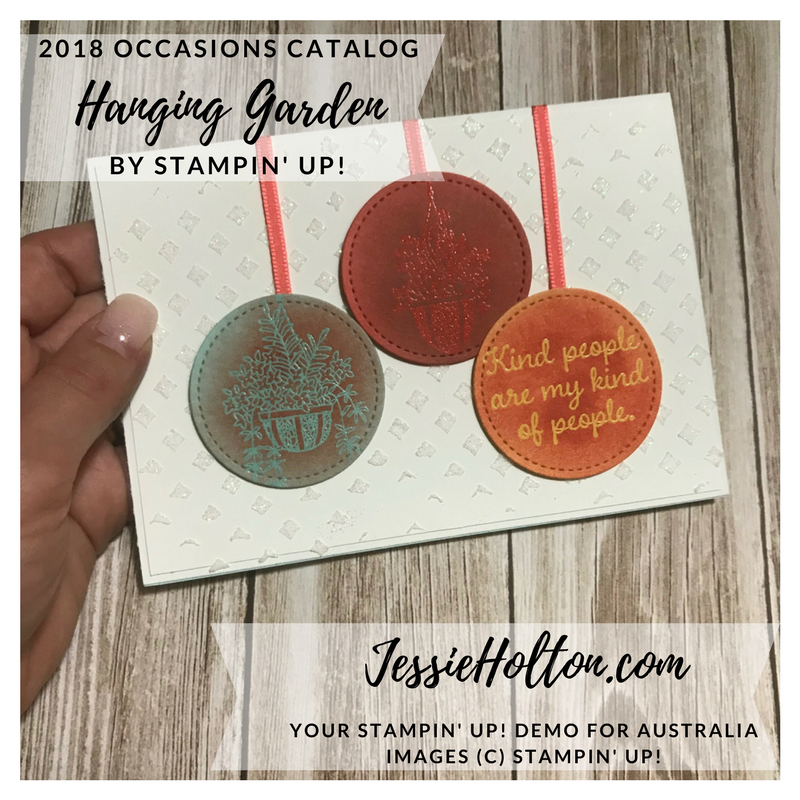 You can turn any colour ink you have into heat embossing. First you ink up your stamp with Versamark, then before stamping, ink it up again in your ink colour of choice, stamp & then clear heat emboss over the top. As you inked up with Versamark first, that will be the ink on top & your clear heat emboss powder will stick to it. I have used Perfect Plum on the sample below, which maybe wasn't the best choice of colour in hindsight as it looks a little brown haha! 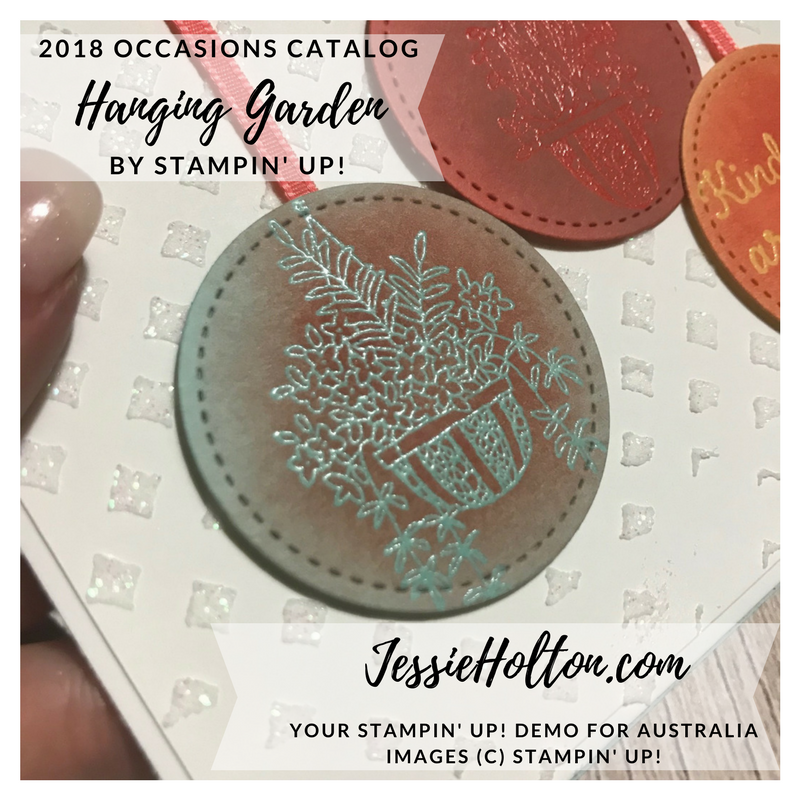 If you stamped with White Craft Ink first, let it dry & then did this technique over the top, you could heat emboss any colour ink onto any colour cardstock, but you might want to use a stampamajig to line up your images.